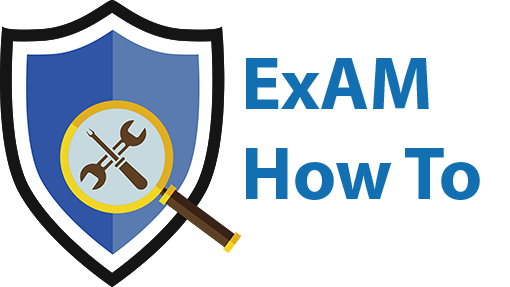 In order to begin using ExAM within your Org, you will first have to complete the basic configuration steps. The following sections will walk you through all you need to do in order to get ExAM up and running. If this is your first time installing ExAM you must do a one-time setup of the endpoint URL’s. This is necessary so that the public-facing viewer (Public Assessment) knows which Salesforce org we are saving data to. If not, feel free to skip this section. Click on the App Launcher in the top left hand of the screen. From here you will click on the ExAM Icon to launch the app. Along the header, you will see a list of tabs. Click on More, where you will see ExAM Configuration and click on it. Under the Assess Anything section, there will be an open text box. You will enter your domain URL and click Save Endpoint URL. Your domain URL can be found on the Home tab of ExAM when in Salesforce Classic. It will be displayed in your URL, but it is only the section from https through .com. For example, the URL that you see displayed might look like this “https://examdemo.my.salesforce.com/home/home.jsp” but the portion that you are copying and entering is only “https://examdemo.my.salesforce.com”. Now that you have saved the Endpoint URL you will also need to enter that same URL into the MetaDataEndPoint field. To navigate to this field you will click on Setup wherein the quick find box you will enter in Remote Site Settings and click on it. Here you will see the MetaDataEndPoint field and you will click on Edit. This will pop up three editable fields where you will enter the previously used URL into Remote Site URL. Once you have completed that step you will click Save. To ensure that Assess Anything is working properly you will Create ExAM to an Object. Doing this will allow you to take any object in you Org and make it assessable. Initially, the only object that is assessable by default in ExAM is the Account object so you will need to execute these steps whenever you are trying to use a different object as an assessable object. Fortunately, you must only complete these steps one time for each desired object. First, navigate to the ExAM Configuration tab. You will look for the Assess Anything section with the dropdown picklist. Click on the Drop-down Picklist field. This will show you the available objects in your Org that can be made assessable. For this example, you can select any object on the list and then click Create ExAM to Object. If assess anything is properly configured you should receive a pop-up message saying the field has been created successfully. While you are here making objects assessable if you didn’t already use the Contact object to test it, you should make that object assessable as it is often used as an assessable object and will be used later in this tutorial. Navigate to Setup and enter in Site into the Quick Find/ Search Box. Under the Sites and Domains section, you will see Sites and click on it. On this page, there will be an open text box where you are able to enter in and create your Force.com domain. This will be the domain at the beginning of the URL for all public facing assessments. For continuity sake, it is recommended that it is the same as your original. After entering in the desired input you will click the Check Availability button and if it is available it will be generated. Please keep in mind, once you have created this you are unable to change it. Now that you have generated a Force.com domain you are able to create a Public Site. To create a new Public Site you will click on New. This will bring you to a screen where you will fill out the information relating to the site you are creating. You will need to create a Site Label, set the page to Active, set the Active Site Home Page to PublicAssessmentPage, and set the ClickJack Protection Level to Allow Framing by any Page. Then, click Save. Finally, you will want to make sure the visualforce page is available to the site. To add the visual force pages to the site you will scroll down until you see the Site Visualforce Pages section where you will click Edit. From here you will select ExAM.AMAndAnswerCreationPage and ExAM.AMPublicAssessmentHome and move them over to the right box and click Save. At this point you have properly configured your Salesforce Org and ExAM will be properly functioning.